Today, I attended the LLI conference in Arlington. For today’s sessions, we split half of the 90 minutes with students. Yes, this means that the first 45 minutes we got to observe and participate in a class. The next 45 minutes were spent debriefing with the teacher/presenter. I loved this unique format and I felt much more engaged. To finish off day one, I listened to students apply for maker grants from us. Though this student didn’t present, I loved their creative guitar, and I’m thinking of making my own! 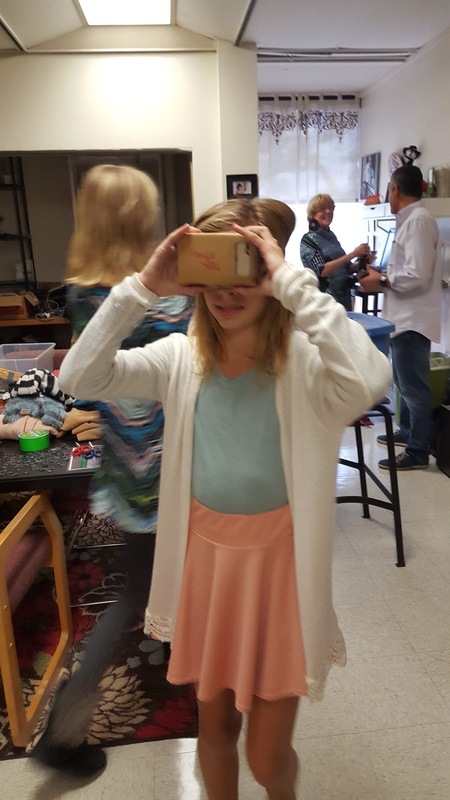 Today, I held our first maker fashion show. Though I didn’t get the volunteer turnout or the participant turnout I had hoped for, all created and all made. And, that was the goal and should always be the goal. I kept it open, minus a few ideas, for creation. The result: many masterpieces I never dreamed of. Today, I spent the day making and learning by making. Though I’ve been a longtime believer in learning by making, I enjoyed spending time doing what I believe. Takeaways: Why do we teach the Haiku and not question it, but we question teaching programming in schools? If you teach English, be writers, don’t just learn about writing. If you teach science, be scientists. Be rather than do. 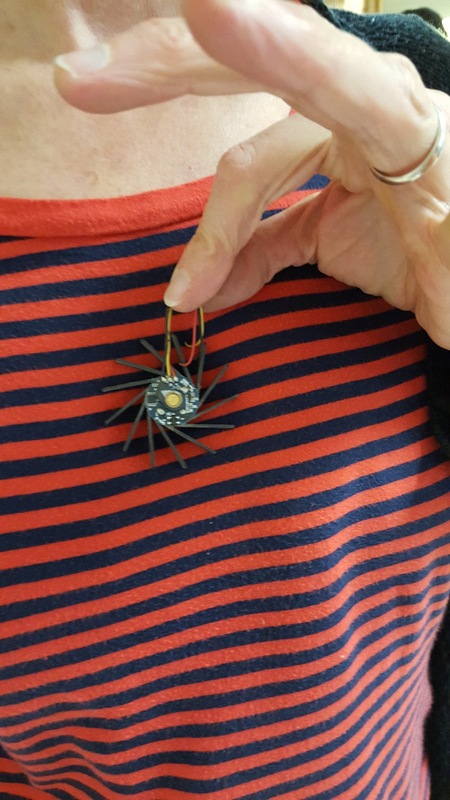 Today, I hosted our first of two October monthly maker parties. 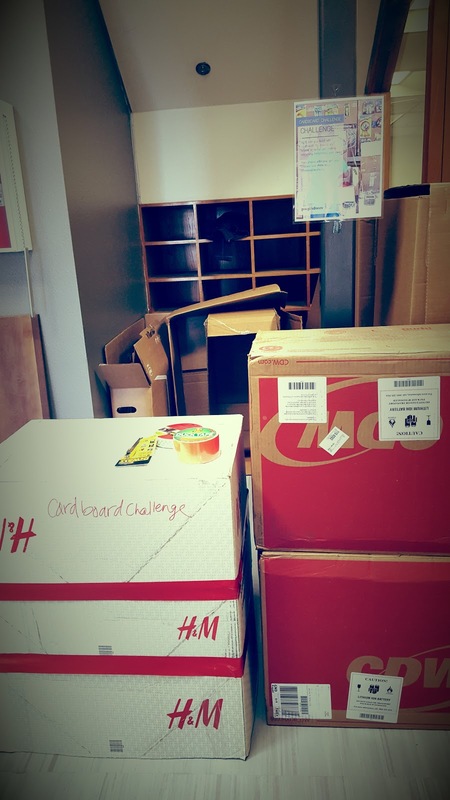 The focus: custom shoes and duct tape costumes/accessories. Today was the middle school students’ turn so I was welcomed with plenty of enthusiasm to go around. With the excitement and creativity, my enthusiasm runneth over. This weekend, I tried a new technique on shoes to use for my makerspace with students. And, though I’ll always prefer painting my own, I was pleased with the end product and I’m excited to share it with students and teachers! This year, I started a makerspace initiative at my new school (a private school for the first time in my career). 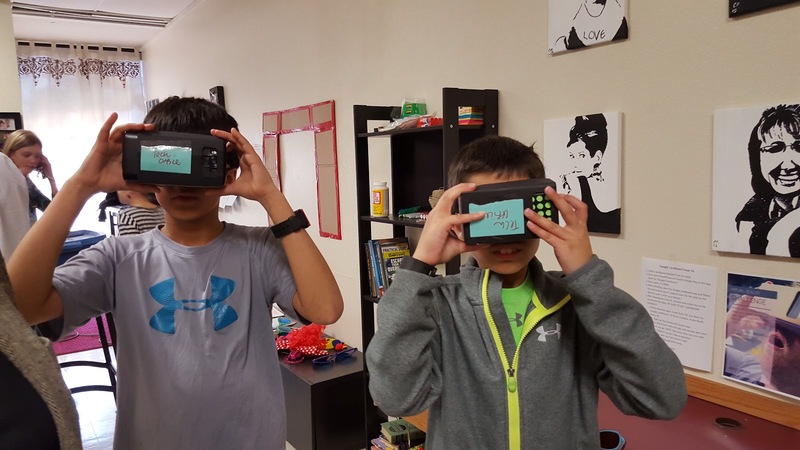 Over the year, I decided to document it for others to use who are interested in bringing maker to their school, classroom, or district. 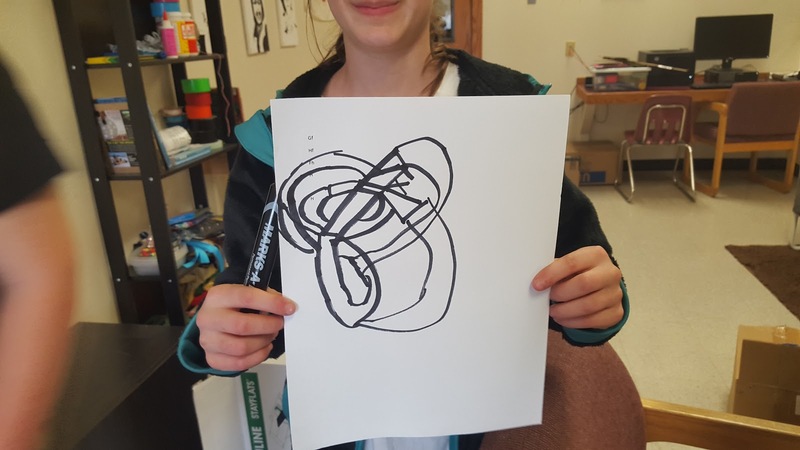 Check out The Maker Journey and fennovation.org for all things maker! 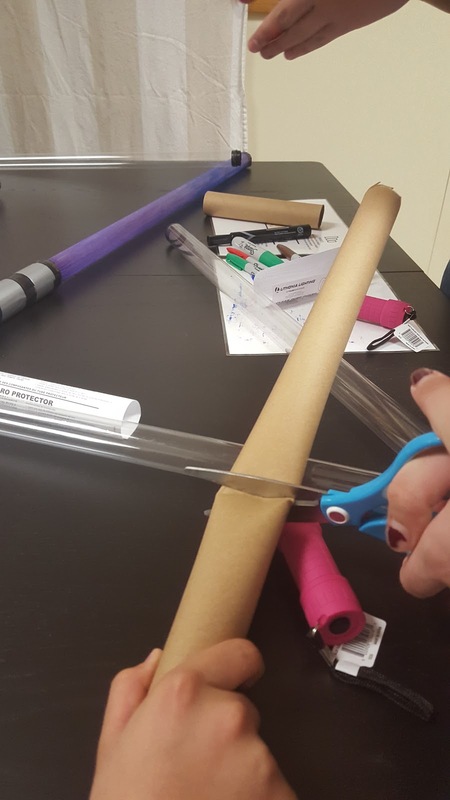 Jump start your makerspace with light sabers! I originally posted this blog in my chasing life’s lilies blog series. This year is our first year of having makerspaces on campus, so it’s a year of recruitment and a year to get others interested. With that in mind, I spent the first few months of the year securing spaces and resources. 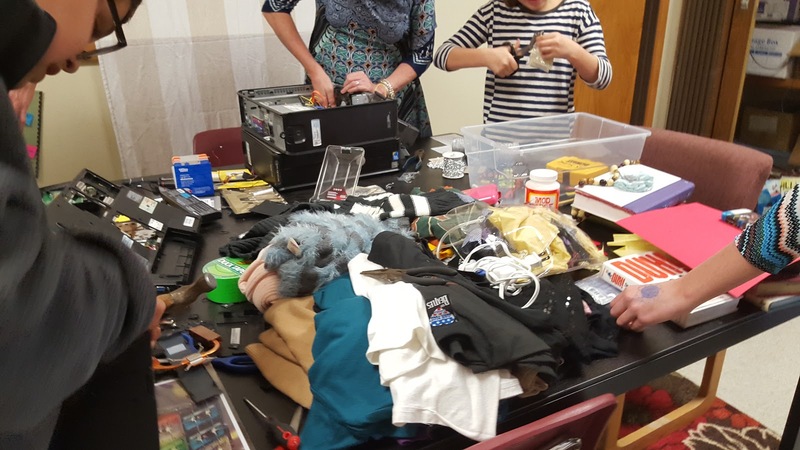 By December, I was ready to bring in students so I started with a maker party – code your own ugly sweater or upcycle an old book into a purse, tool box, or other accessory. 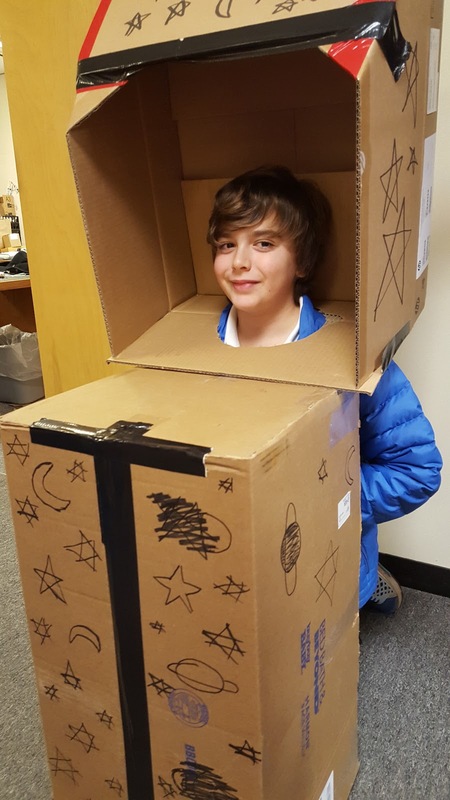 Though only a few students attended our December maker party, they started to make use of the space in their own ways. They asked if they could return to finish. They asked if they could create more. They asked when there would be more. They wanted to keep using the space. In my idealistic vision, I imagined the space as a revolving door – a place for students and faculty to come in and innovate – with hours similar to that of a library. As more students and faculty use the space, I’ll have to solidify a few basic rules and offer some training courses on the tools. But, for now – for this first year – it’s about engagement and recruitment. 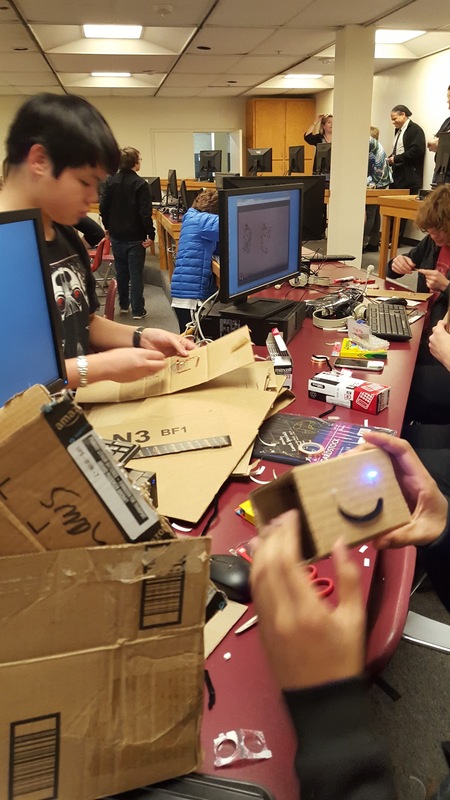 So, I decided to finish off 2016 with monthly maker parties open to all students and staff during open lunches (a time when students are not required to eat in the dining hall and teachers do not have duties). 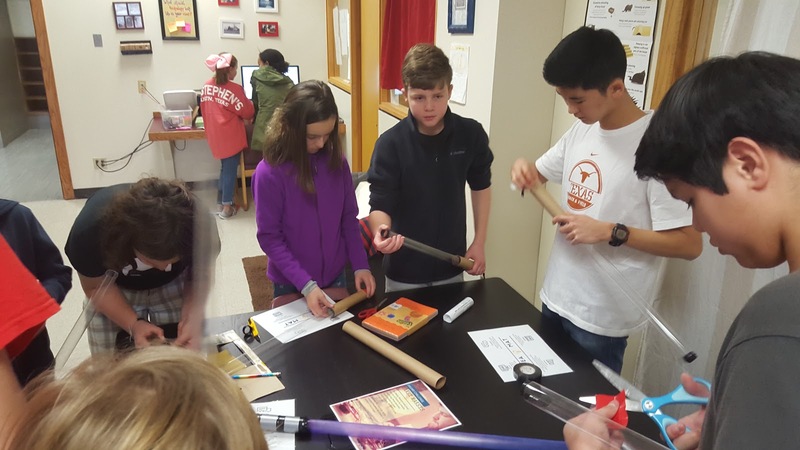 For January, I hosted a Makey Makey challenge and a light saber creation event. I split up middle school and high school students for more personalized events and better crowd control. Today, the middle school students entered – 15 of them (we only have 200 middle school students) ready and armed to make. I assumed all were in for the light saber creation, but was pleasantly surprised when several girls asked to explore the Makey Makeys. Some even asked if they could complete some of the projects from last month. We began with an introduction of the space and how to use it most effectively. This was an important step in this makerspace since the space is rather small and has not been fully defined for maker. After a brief introduction to the space, we were ready to create. I found this great Instructables tutorial previously (which I still recommend consulting), which I used to guide the maker event. 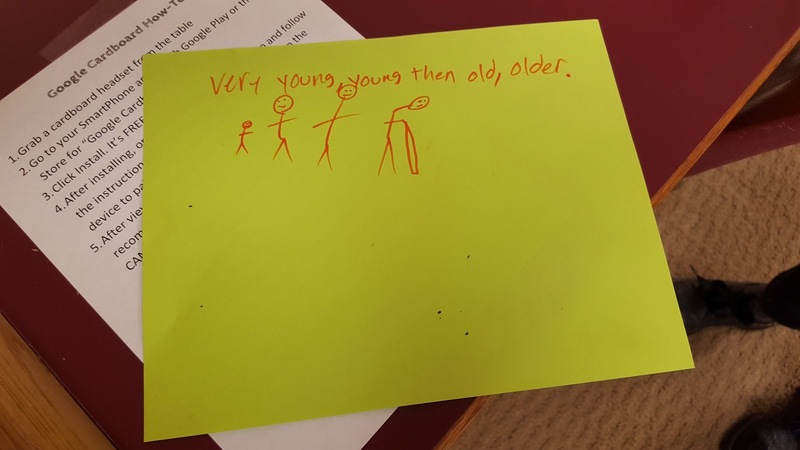 Before sharing this with students, though, I made one myself. ALWAYS make one yourself first. First, gather the supplies. 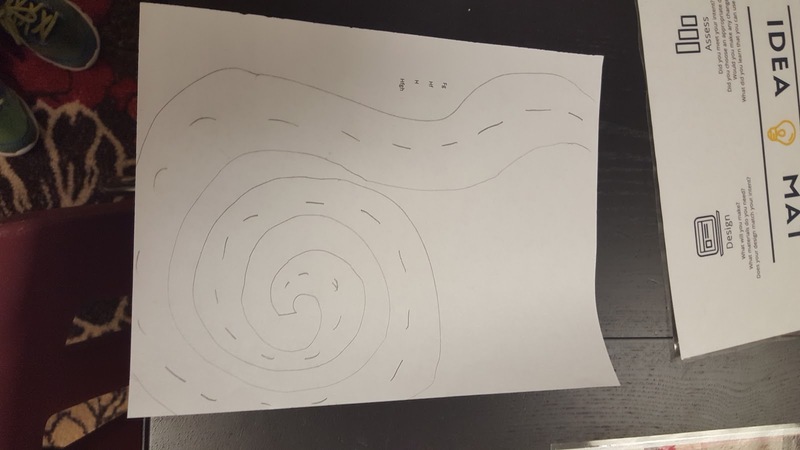 I sectioned mine off into various corners of the makerspace for better traffic flow. Clear tube guards for fluorescent bulbs (here are the ones he used). Get the T8 size. These make the blade portion of the lightsabers. Small 9-LED flashlight from Walmart. The kind needed are typically found on aisle-end displays and cost $1. Here’s a link. Place items around the makerspace by step. For instance, the tube cards and the wrapping paper rolls were on the same table. Determine what is best for your office. Next, it’s time to get to work! To make best use of the tubes, we cut ours in half. However, in the original example, he only cut off about 12 inches. It’s up to you. Then, cut the wrapping paper rolls. We measured from the base of our hand/top of wrist to the tip of our middle finger and cut. This will be the shaft. Now, it’s time to insert the flashlight into the wrapping paper shaft. Most wrapping paper rolls are too wide for the flashlight so we placed duct tape around the flashlight (leaving the battery end & seal open) until the flashlight could be inserted, but would not fall out if we held up the wrapping paper roll. 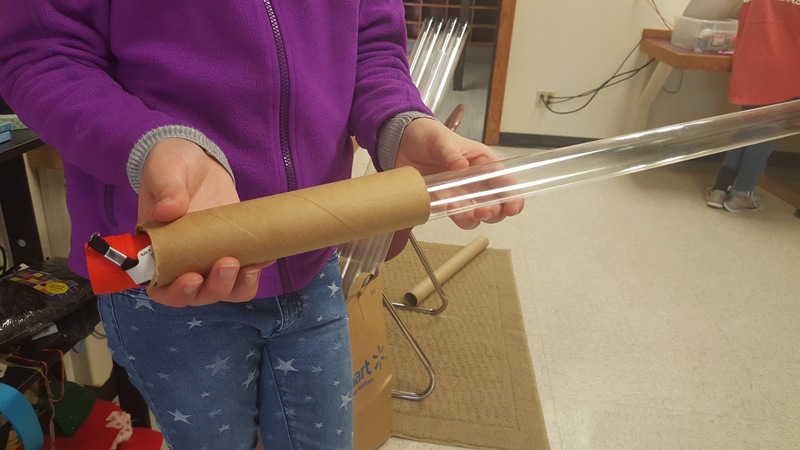 After, students inserted the clear tube into the wrapping paper shaft (with flashlight). Again, the wrapping paper rolls are typically to wide so we added duct tape to the base of the clear tube until it would insert into the wrapping paper shaft without sliding out easily. Then, we removed the black plastic covering at the end of the tube. In it’s place, we placed a piece of duct tape (sticky side up) on top of the hole (leave a little on the sides so that it hangs out – you’ll clean this up later). Then, we put the plastic covering back on, securing the duct tape. To make sure the light does not escape, you may need to wrap electrical tape around the top and sides of the plastic covering. I had to do this for mine and so did the students. Now begins the aesthetic stage. I put duct tape over my wrapping paper shaft for cosmetic effect. It was not necessary. 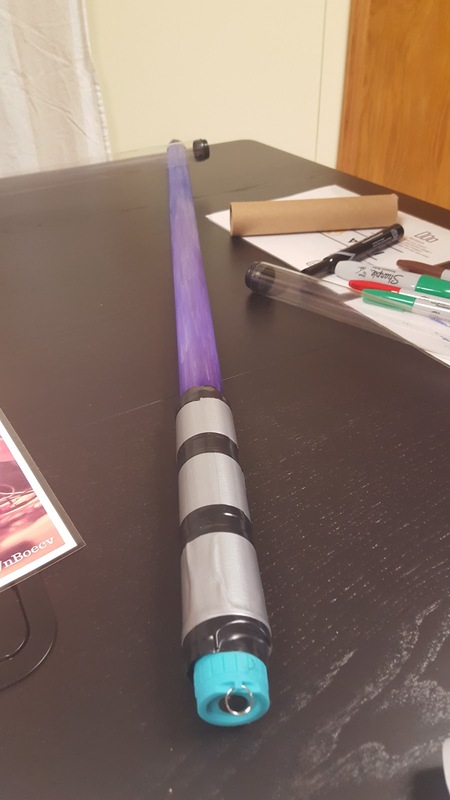 I also put electrical tape at the end and top of the shaft to secure it and make it look more polished. In this step, you can cut out the peel and stick foam to add grips to your shaft. Be creative and have fun. In the final step, we colored the tubes with permanent marker. And, then, we used a low grade sand paper to sand down and diffuse the color. This helped diffuse the light. 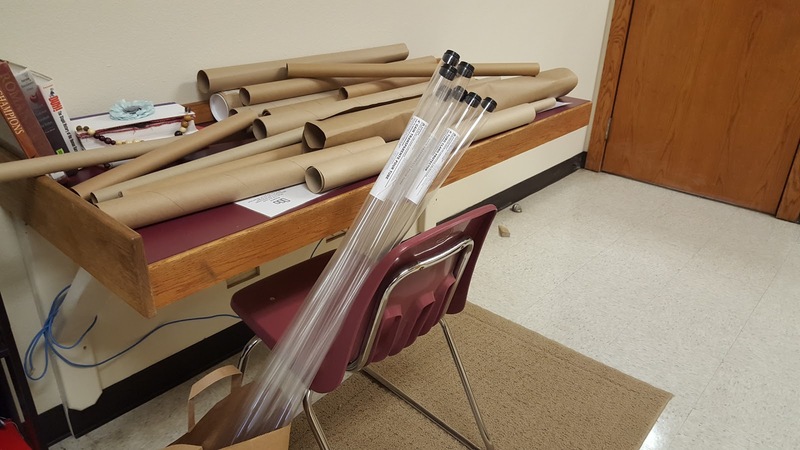 Now, your students are ready to wage light saber war. And…hopefully, this will help jump start your makerspace. The key is finding topics that catch your students’ attention. Here is a list of our maker parties for reference. 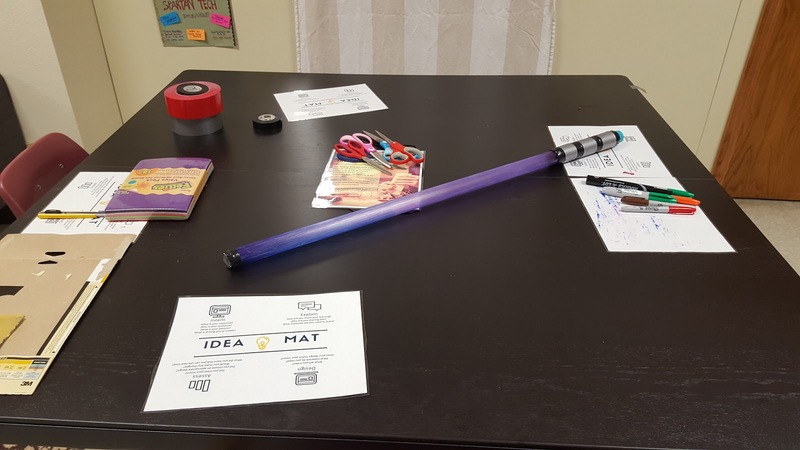 Since I first published this post, I’ve held two monthly maker parties, including a January party for creating your own light sabers. Click here to read about our Light Sabers journey. 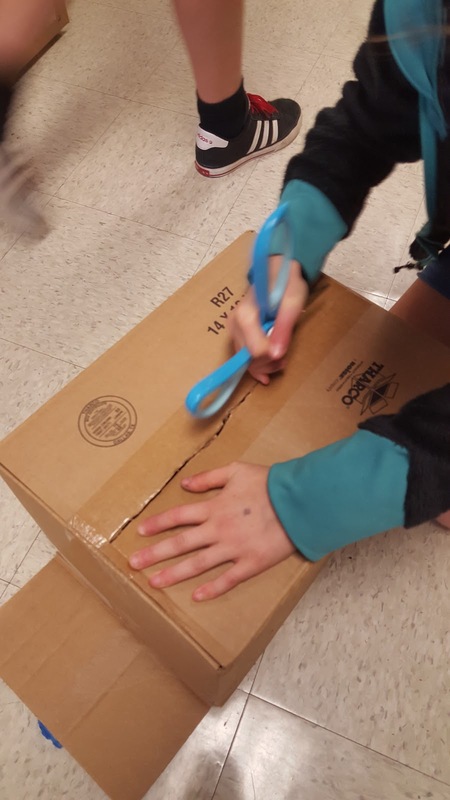 In February, we made paper circuit Valentines and, in March, we made cardboard obstacle courses for our Sphero. 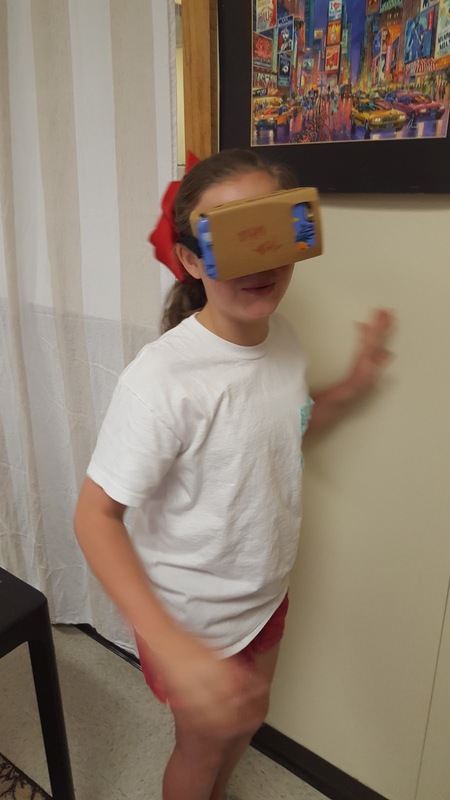 We also made a Virtual reality tour of it in the Google Cardboard Camera app. Next month, we have an Earth Day-themed Maker Party with upcycling coffee bags and turning soda bottles into solar panels. We’ll finish the year by turning laundry detergent bottles into ukuleles and coding our own music with Arduinos. 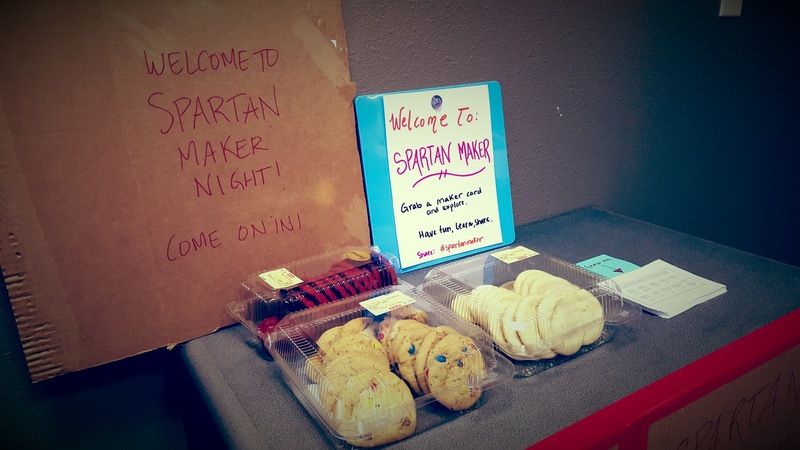 You can check out our full list of maker parties here. Though we had an initial goal of creating four mini makerspaces this year, we only have one going. 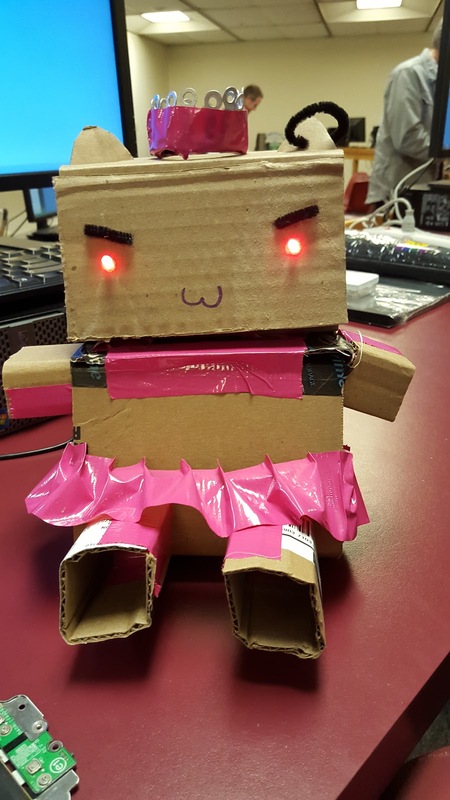 That said, I’ve found that makerspaces grow up. As there becomes an interest and a need, they sprout. And though, I’d love a large innovation studio, the grassroots mini makerspaces fill a need. 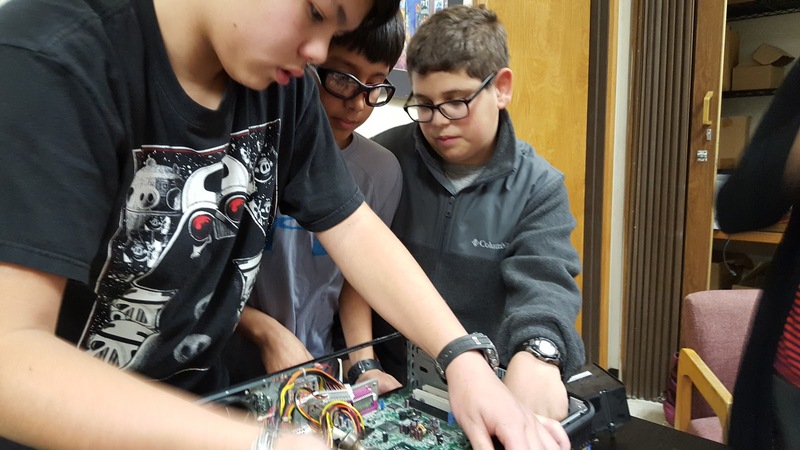 This week, our middle school Spanish classes are completing a variety of maker projects. Then, they are filming Spanish tutorials of how to create the maker projects. These will go up on their YouTube channel or a private Google Drive folder from now. 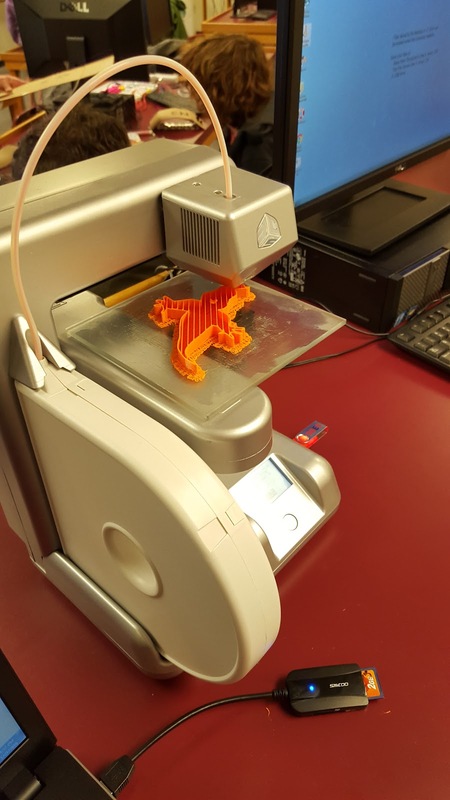 Since the end goal is to bring maker into the classroom, I see this as an major step. 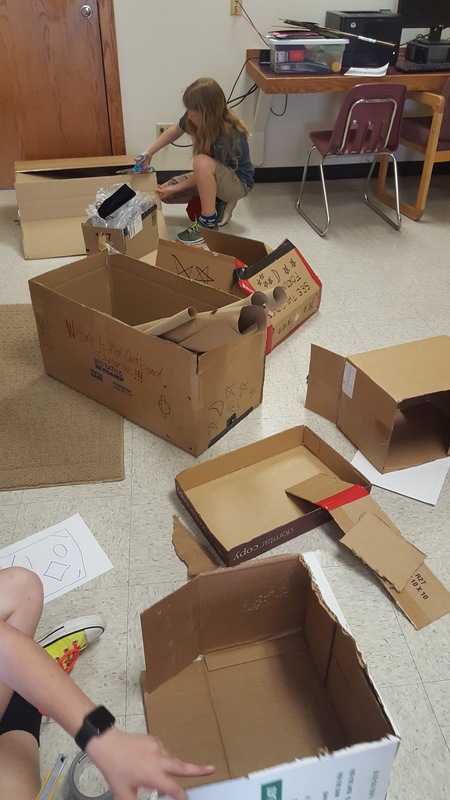 Regardless of whether there is a designated spaces, there should be maker thought moving into the classroom. In April, we are hosting a family coding night. 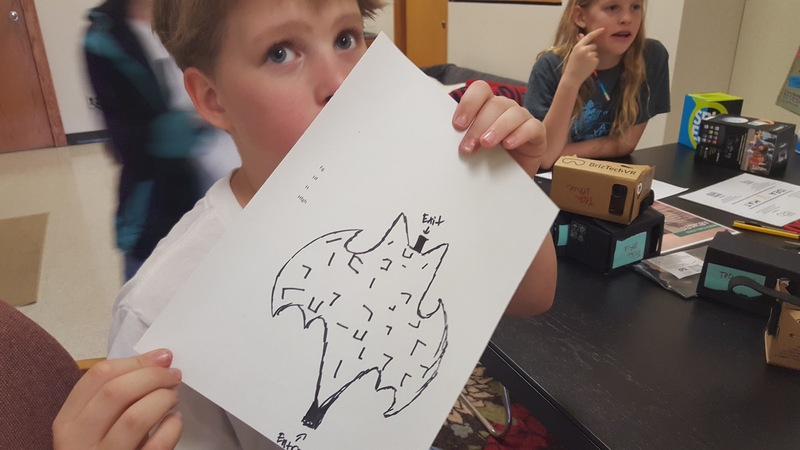 And, in May, we are wrapping up the year of the maker with a Superhero maker night. Stay tuned for updates and details! I originally shared this post in my Chasing Lilies blog. “Would like me to make you a birthday cake,” my three year-old niece, Emma, screamed as she climbed onto the kitchen stool. “Of course! What will you make me?” I asked as she looked through the kitchen drawer for supplies. 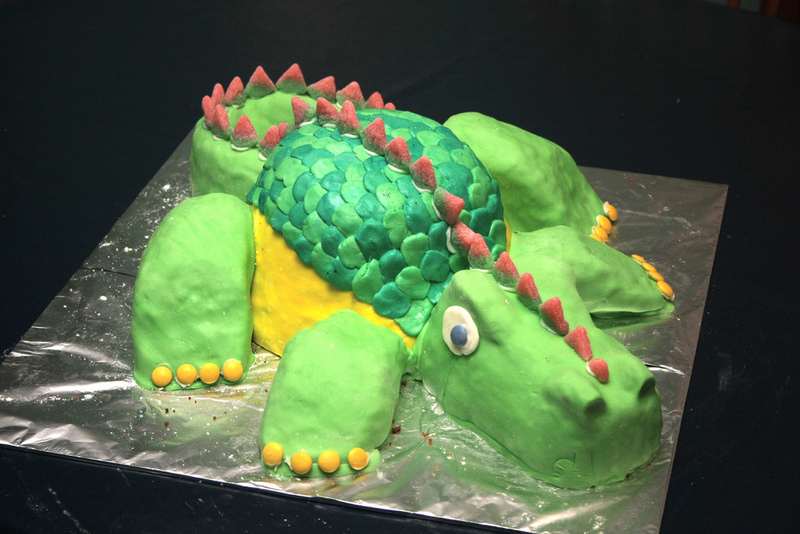 “Ummmm…how about a dragon cake!” she squealed louder. “Dragons are soooo cute! The cake can roar and the dragon can jump out of it,” she exclaimed, getting more animated as the ideas came. At three, Emma’s a wonder junkie. At three, Emma’s told how something is supposed to appear. Emma grabbed the plastic spatula of a thousand colors and dumped it on the cake, crumbling beneath her. What remained was a crater of color. We assign preconceived ideas of how something should be to tasks that are meant to be holistic. We assign random numbers to learning development. We say that a seven year-old must be doing a set of tasks and, if they are not, they are failing. We assign right and wrong values to art. We decide how a fictional character like a dragon should appear. In our efforts to standardize education, we’ve stopped behaving as wonder junkies. Somewhere along the journey, we have started behaving like correctional officers. Wonder does not need to be corrected. It needs to be cultivated and then, shared. I challenge you to bring back the wonder. Even in restrictive environments, there is room for wonder. There is room for making. We are all makers. But, only some of us recognize it. 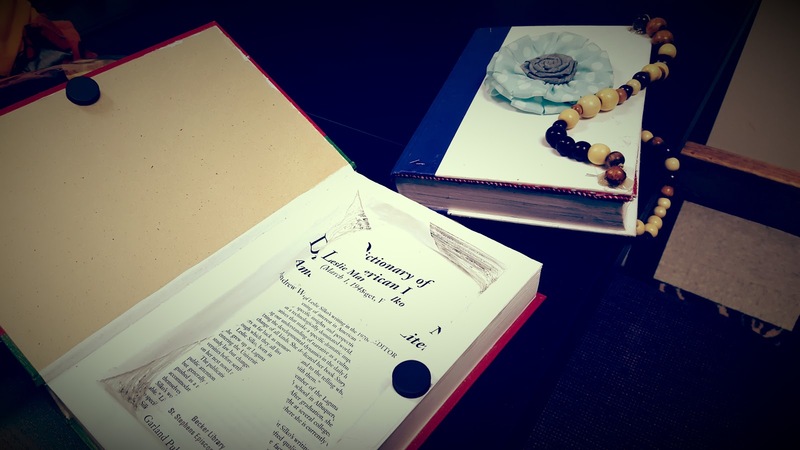 Recently, I took the wonder junkie challenge to my staff. Not only is it my first year at a private school, it’s my first year at this private school, and it’s the first year for my position at this school. It’s a year of firsts. So, it seemed perfect to introduce the idea of the makerspace. Organize a focus group of students and staff who are excited about the idea of making (start with the passionate folks in order to generate momentum). Hold a kickoff party. We did this in the form of a Maker Night or a Maker Faire. We staged nearly ten booths plus a photo booth and invited all staff, students, and families. Create a space for wonder. Once you create that space and cultivate the climate, allow for it to shape itself. However, it evolved into so much more. They made messes – lots of them. And, it was okay. It evolved into engagement and excitement. There were no rules of what something was supposed to be or not be. It was holistic. We are born to be makers. We are born to tinker and explore. However, we have been trained to follow a formula. Break the formula and get started. We are 9 months into our maker journey. We do not know where it will go or how long it will take and we’re okay with that. 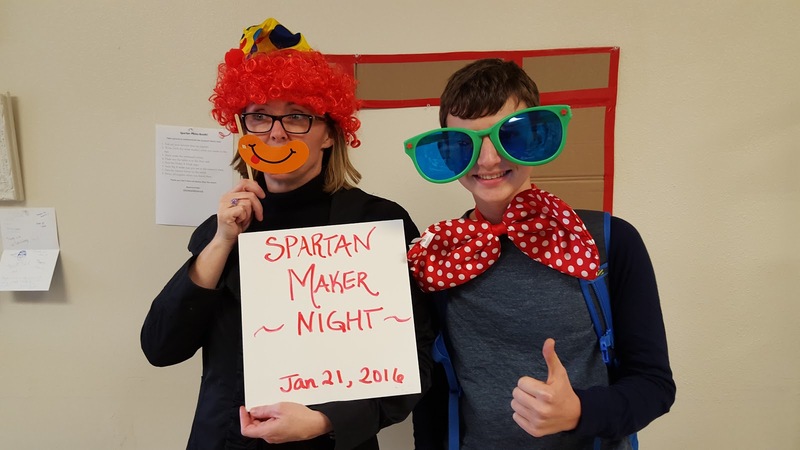 Check out the Spartan Maker page for a detailed account of our Maker Year. Need some more inspiration? 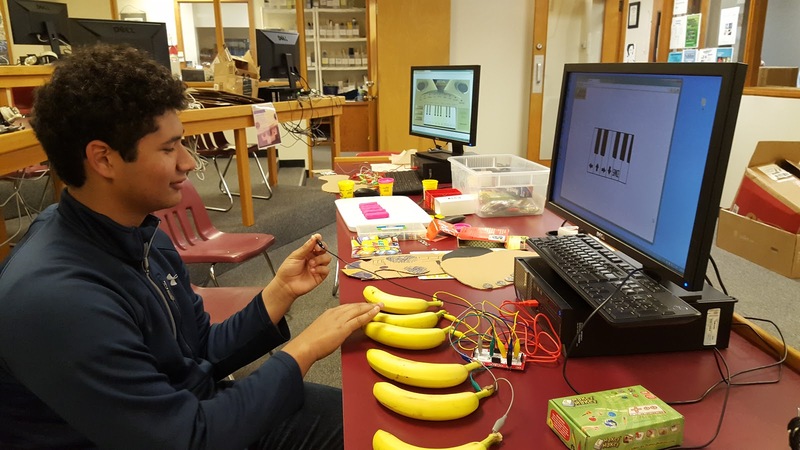 Check out making over your library (presentation) and fennovation.org for all things maker.